Roberta Elnora Mitchell, age 85, of Red Oak, Iowa passed away Saturday, November 18, 2017 at the Red Oak Healthcare Community. Roberta was born July 1, 1932 in Hastings, Iowa the daughter of Raymond and Dora (Davis) Morse. She was raised in Mills County and graduated from Emerson High School. She was united in marriage to Dean Mitchell on November 20, 1951 in Stanton, Iowa. They lived in many different places in the Red Oak area throughout their marriage and even spent many years in Council Bluffs, Iowa. 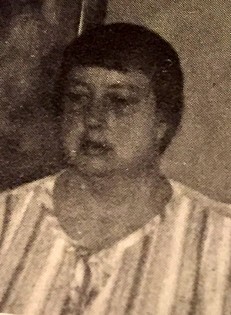 In her younger years Roberta was a waitress and worked at Glenwood State School before starting a long career with Iowa School For The Deaf where she retired. Roberta was a wonderful cook, enjoyed crocheting and crafts, playing cards, camping, gardening, and tending to her beautiful flowers around the house. Preceding her in death were her parents and sisters: Betty Riley and Alice Lewis. Survivors include her husband of nearly 66 years: Dean Mitchell of Red Oak, IA; daughters: Beverly Armstrong and husband Dale of Zimmerman, MN; Barbara Pichelmann and husband Dale of Arlington, MN; and Caroline Buckley of Red Oak, IA; grandchildren: John Armstrong and wife Julie of Blaine, MN; Jennifer Gates and husband Jake of Zimmerman, MN; Amanda Heiss and husband Eric of Oak Harbor, WA; and Amy Heine and husband Steve of Arlington, MN; great grandchildren: Emili Jo Waite; Grace Armstrong; Mitchell Armstrong; and Corsynthia DeLeon; brother: Lane Morse and wife Carol of Plattsmouth, NE; brother-in-law: Raymond Mitchell and wife Sharon of Corning, IA; and many other relatives and many friends. Thanks to Nelson-Boylan-LeRette Funeral Chapel, Red Oak, Iowa, Kelly (Cozier) Booth and John Matthews for the information.